Meal planning makes a big difference when it comes to sticking to a dietary change. It’s easy to cook a quick convenience food or head to a restaurant when everyone is hungry and nothing is defrosted, but a little planning can prevent this! 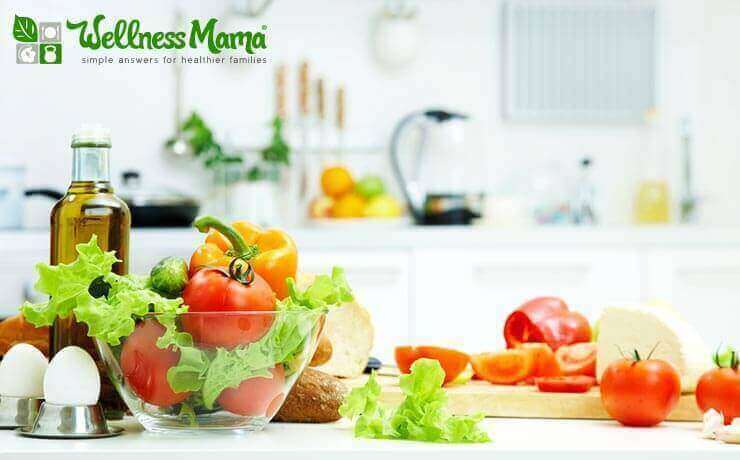 If you have kids, you can let them be involved in the planning as well, which will help them get excited about the healthy foods you are cooking and be more willing to try them. Our family uses this program for easy meal planning but you can easily create your own system using my method below. 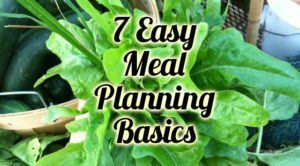 Meal planning is a vital part of eating a healthy diet and there are many benefits of meal planning. Even if you’re a healthy eating veteran, I’d highly encourage you to take half an hour a week to meal plan healthy meals for your family that week. There are many times that money has been tight for us and I’ve had to stretch our food budget. One year, my husband lost/had to quit his job a month before the birth of our third child. That birth ended up being an (expensive) emergency c-section to save my life and my son’s life. Our son also had a stay in the NICU, which we found out costs more per day that we’d ever paid for a vacation. Needless to say, money was tight for a while as we worked to find a job and pay off bills. At the same time, I was recovering from surgery and blood loss and eventually, he was eating solid foods but we both needed to focus on really nourishing foods. Even during this time, our family ate a real food diet that we managed to afford by very careful budgeting and meal planning. Consuming a nutrient-dense real food diet is vital for so many aspects of health, but it also takes some advance planning. 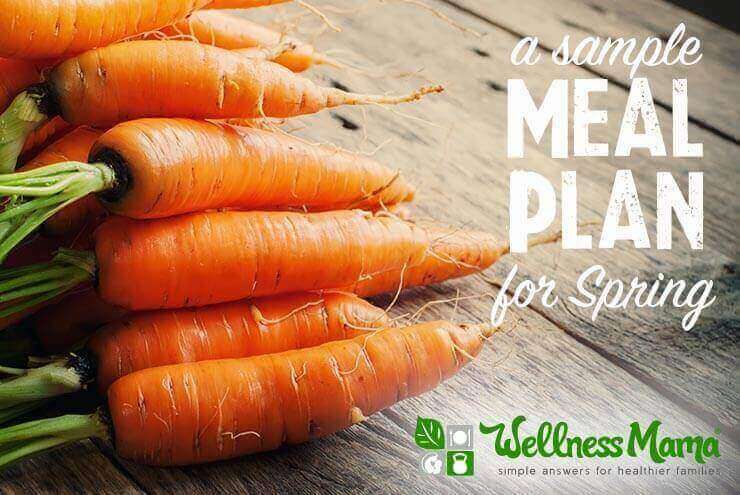 Meal planning lets you decide before you ever go to the grocery store what healthy meals your family is going to eat during a given week so that you can only purchase healthy foods and know that you will use them. If you’re switching to a healthier diet, meal planning is especially important to help you stick to it while you learn the ropes. One of my biggest pet peeves is finding a container of food in the back of the fridge and realizing that the contents resemble a science experiment more than they do food. We focus on a healthy real-food lifestyle and part of that is being a good steward of the resources we have. With meal planning, I know how we are going to use all of the food for that week before I even go to the store to buy it. I have a weekly game plan that even takes leftovers in to account so that food is rarely wasted. Stress is bad. I realized that a major source of stress for me was realizing at 4 p.m. that the kids would be hungry soon and that nothing was planned or defrosted for dinner. Just the general “what am I going to cook tonight” that was always in the back of my mind was taking up mental energy that I needed to use in better ways (like parenting five children). Just as with anything, having a written plan takes the uncertainty and stress out of the situation and I was surprised how much it reduced my stress just to have a plan and know what and when I would be cooking. See my weekly template below that I use for stress-free meal planning. Another great benefit of meal planning is the time it saves. Planning ahead allows me to cook things in bulk and freeze for a future meal or make extra of a protein to use in a quick meal later in the week. In the winter, I cook a lot of slow cooker meals or Instant Pot meals and pre-make many of these to keep in the freezer so that I can just stick one in the crockpot and go in the morning on busy days. 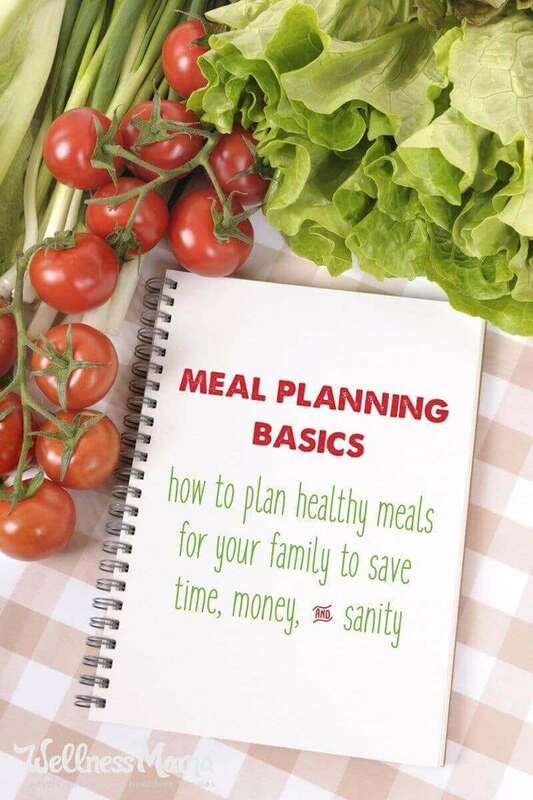 It may seem that meal planning is rigid and boring, but statistically, families are more likely to eat the same meals over and over if they don’t meal plan. Meal planning allows you to ensure variety and avoid falling in to the trap of eating the same five meals over and over. 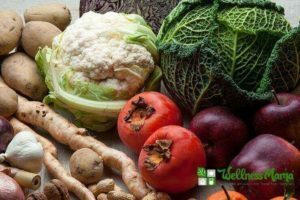 A varied diet is good for our digestive health and exposes us to a wider range of nutrients. I try to use no meat more than twice so in a given week I might have 2 beef meals, 2 chicken meals, 1 fish meal and 2 pork or egg meals. As you find recipes your family enjoys, make them core recipes that get re-used every few weeks. Try to build up about 20 of these and you won’t ever be bored with your meals. Each week, use these core meals for 5 of your dinners and try something new for 2 dinners. If you get really motivated, build these 20 core meals for each season using seasonal produce and rotate with the seasons. This will also save money on produce. Protein is typically the most expensive part of the meal so if you can use less expensive cuts of meat and stretch them, it might allow you to buy organic and grass-fed rather than conventional meats. If you can’t find these from a local farm, there are now ways to get quality meat shipped to your door. Another reason I love stir frys and casseroles — you can add more veggies and stretch the meat more than if you were just serving baked chicken. The slow cooker and Instant Pot are also great ways to make tougher, cheaper cuts of meat more tender. A basic easy recipe (like Chicken Squash Stir Fry or Pakistani Kima) can taste completely different just by changing the spices. Add some cumin and chili powder and you have a Mexican flavor, or some curry for an Indian flavor. Basil, thyme, oregano, and garlic give an Italian flavor while, Chinese Five Spice gives an Asian flair. I try to buy all my herbs in bulk since it saves money and gives me a stash for making DIY herbal remedies. One of my dreams is to travel the world and try the different cuisines in each country. Even if traveling isn’t on your to-do list right now, it’s fun to create a little piece of the experience in your kitchen. With a little research and some healthy adjustments, you can create recipes from around the world. You might be surprised to find that your kids enjoy the flavors of Indian or Thai food or that you have a passion for French flavors. Want to raise a picky eater? Let your child eat whatever he/she wants and cater to his or her food preferences. Want to not raise a picky eater? Expose your children to healthy and diverse foods from a young age and don’t make any specific foods for them. My toddler gladly ate curries, cooked vegetables, liver, and avocado because she’d never had crackers, toast, chicken nuggets, or juice. This post has all of my best tips for winning over a picky eater (while staying sane). If they are truly not hungry they are not required to eat BUT then can NOT complain about the food or interrupt the meal with a bad attitude. Certainly, there are times when my kids are not happy with these rules or the foods they are served, but as with other areas of parenting, sometimes the best option for children is not always the one they enjoy most! This may sound like tough love, but it will really be a benefit to them in the long run. Don’t believe me? Check out the book Deep Nutrition. It can be tough to break the cereal and sandwich mindset but an easy, time-saving way to eat healthy is to make extra of foods and serve them again for breakfast and lunch. Most foods (except soups) can also be added to an omelet for breakfast or put with a salad for lunch. Cold meatza or leftover barbecue actually makes a delicious breakfast or lunch (together with a large pile of veggies, of course). Another easy trick is to make salads or store leftovers in mason jars (liquid ingredients at the bottom for salads, then meat/toppings, then lettuce) and store in the fridge. Then, the meal can be re-heated easily or dumped onto a plate to serve. I now use an online service and app to meal plan and generate my shopping lists. This lets me grocery shop in much less time and simplifies my week. If you aren’t using a meal planning service (though I’d highly recommend it), you can accomplish the same thing by organizing your shopping list before you get to the store. I started by creating a rotating list of meal plans that use seasonal produce and corresponding shopping lists that are organized by the part of the store the food is in. To make the shopping list for the week, I just multiply the per-person number by the number I’m serving for that meal and add to the list. Seasonal eating is another simple way to save money and increase the nutrient content of food. Foods contain the highest amount of nutrients when they are in season. Local seasonal vegetables contain more nutrients because they are allowed to grow until ripe and aren’t shipped halfway around the world before we eat them. 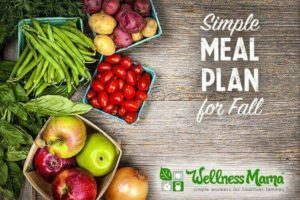 Seasonal meal planning is as simple as focusing on cabbage when it is in season and under a dollar a pound or choosing more zucchini and cucumbers in the summer when they are widely available. For easy reference, here are seasonal meal plans by season that you can use. Note: This list and the recipes above are for 2-3 people. If you are a family of 4, 5, or 9, multiply accordingly. For us (family of 5) I double the list below, but it is easier to double than subtract. We also usually try to make enough to have leftovers to throw in omelets for breakfast or eat for lunch. I buy meat from local farms and fill in particular cuts I need more of with my ButcherBox subscription. Most of my seafood I get from Vital Choice. Snack Options: Nuts of choice, more eggs for deviled eggs, avocado or guacamole (highly recommend), tuna, canned wild caught salmon, almond butter, celery, apples, cream cheese, cucumbers, etc. All butter in the above recipes can be replaced with coconut oil. I don’t have specific measurements for most spices because they are better if you adjust to your own taste. Consider making your own salad dressings– this is a fast and simple way to save money and get good servings of fat. I’m sure summertime conjures up visions of family vacations, beach time, and poolside lounging… not meal planning and grocery shopping. But it’s undeniable that meal planning saves time and money to put toward other things. I usually make a huge batch of chocolate coconut clusters (with 90% cocoa chocolate) for the kids to have for snacks on the go. We also serve watermelon, fresh fruits, and cut-up veggies and cucumbers with dip or homemade dressings for snacks. I try to buy ingredients from local sources whenever possible, but when I can’t, I order them from trusted sources. My full list of sources is available on this page. In Fall we focus on root vegetables, squashes, cabbage, and apples. The slow cooker and Instant Pot are always out on the counter as well! To lighten up heavy dishes, we add fall-friendly sides like fermented sauerkraut, pickles, roasted vegetables, or kale salad. For winter, I try to balance foods that I know are easy to find this time of year with foods that I know I will have preserved or stored from the summer excess (like okra). I also focus more on warm dishes like soups and stews in the winter meal plan, since these recipes are especially appealing in the cold winter months. Note: This shopping list is designed for 2-3 people so double or triple accordingly! Want an Easier Way to Meal Plan? I’ve partnered with Real Plans to make my meal plans easier than ever to use. You can create a custom meal plan for summer or for any season based on your family’s size and preferences. Avoiding certain foods? Real Plans can filter them out in seconds. You can also generate a shopping list based on the meals you choose and check off items on your phone while you shop. There are well over 2000 recipes to choose from … and all are (of course) kid-tested and family-approved! 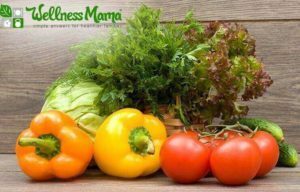 Check out Wellness Mama Meals + Real Plans here. I hope it helps you to kick back and enjoy a healthy summer knowing your meal plan is set! Do you meal plan? What tips do you have that have helped you? Share below!